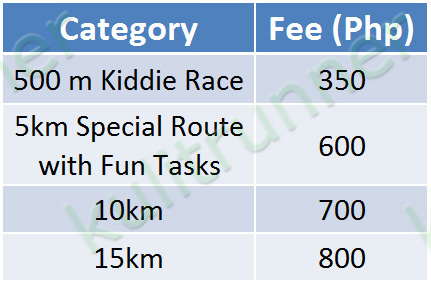 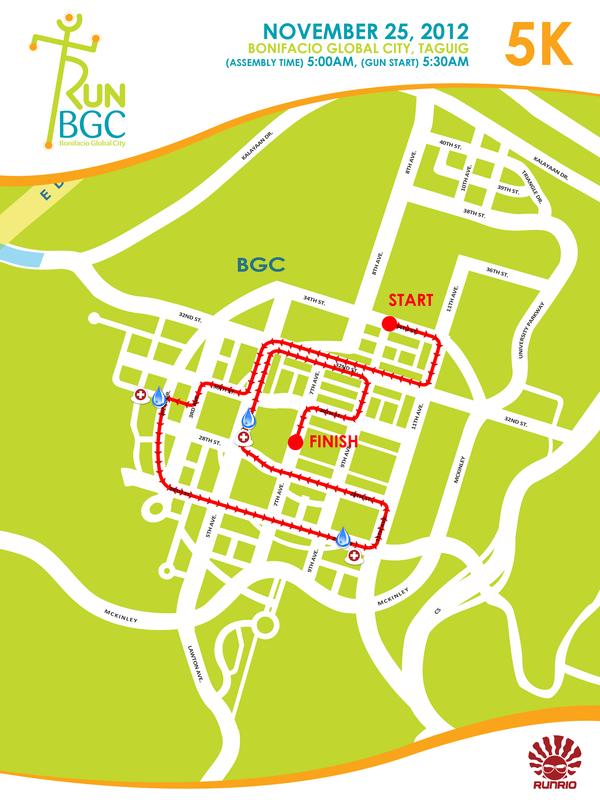 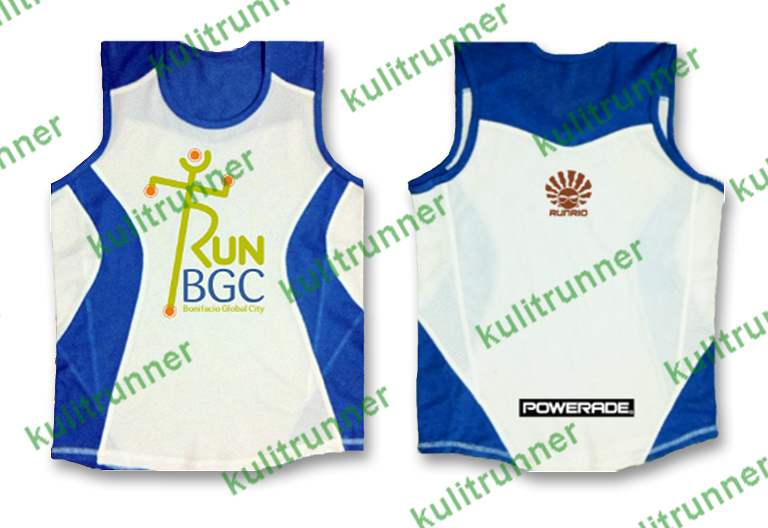 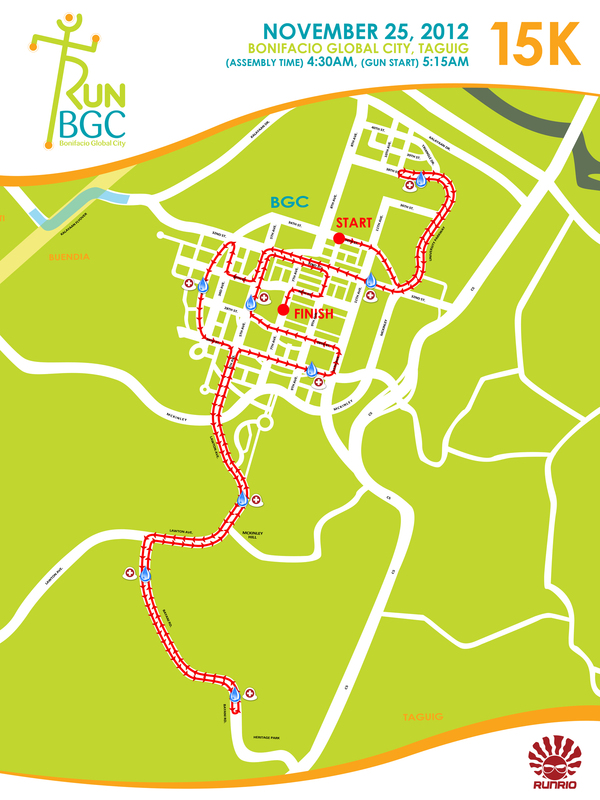 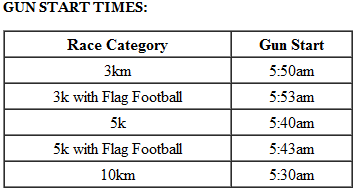 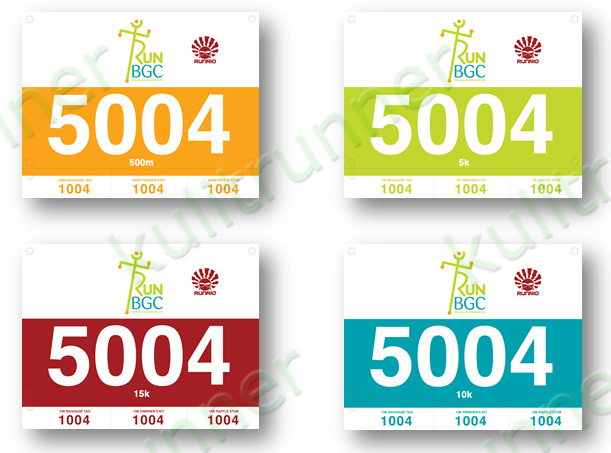 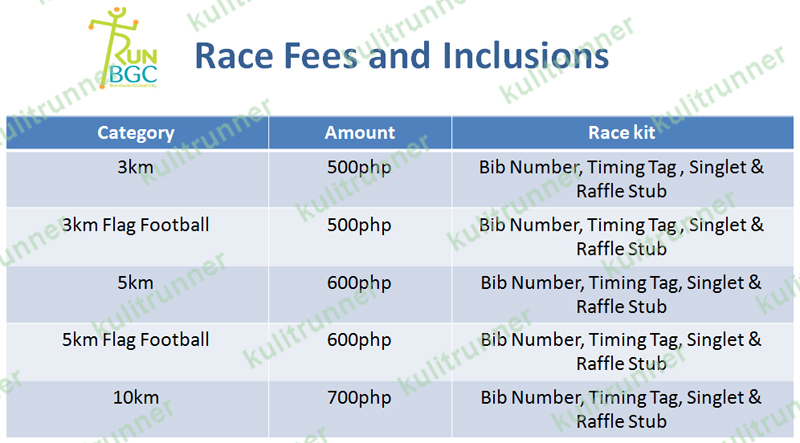 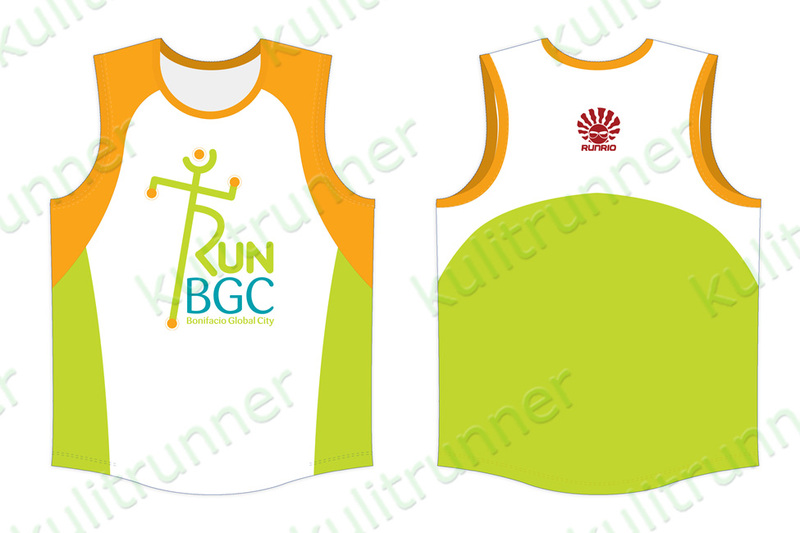 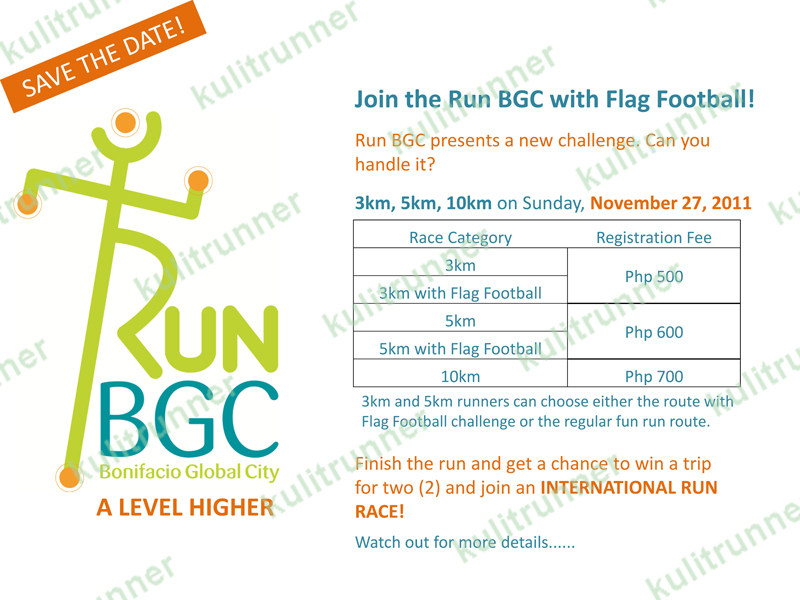 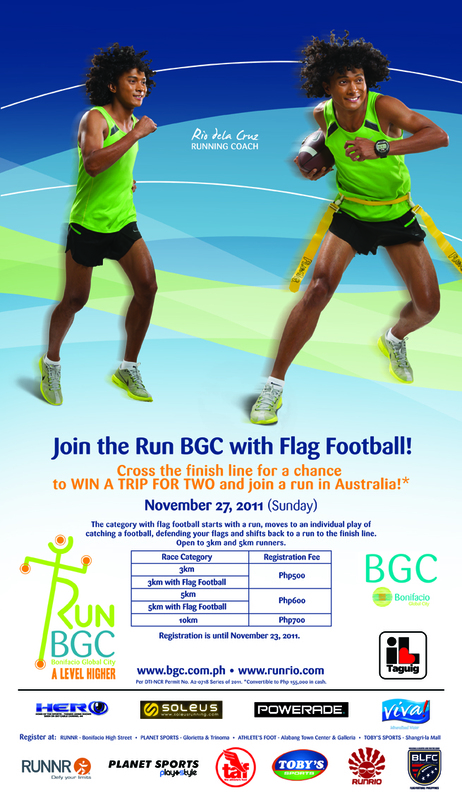 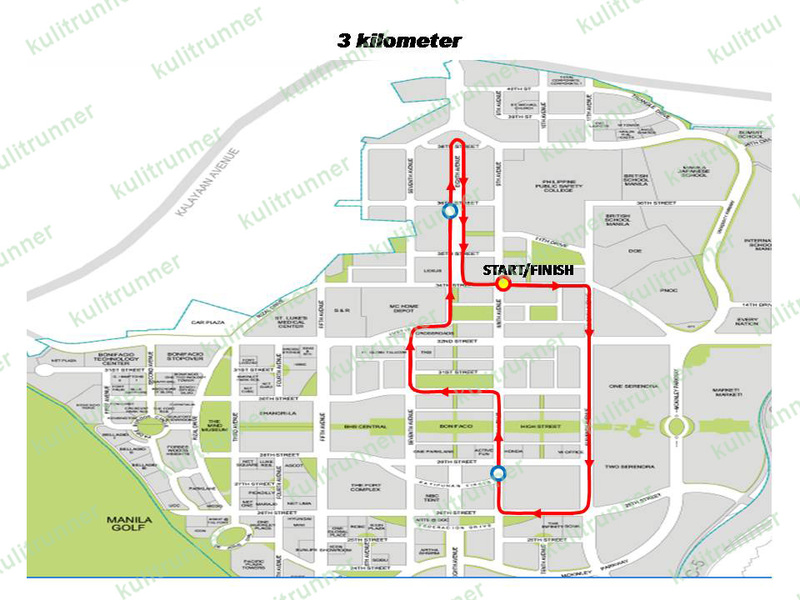 To culminate the year’s running season, Bonifacio Global City (BGC) will host RUN BGC on November 28, 2010. 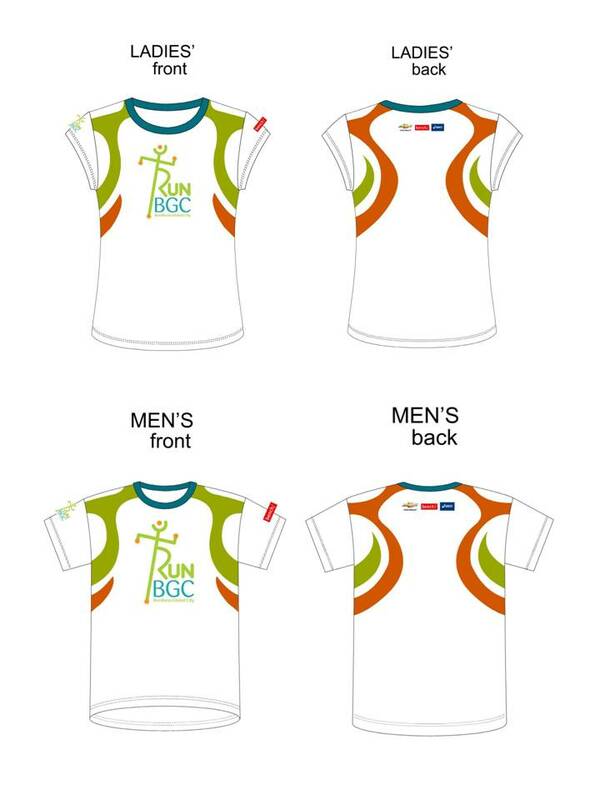 With Coach Rio Dela Cruz as Race Director, expect thousands of runners to convene in this running mecca with singlets provided by Bench. 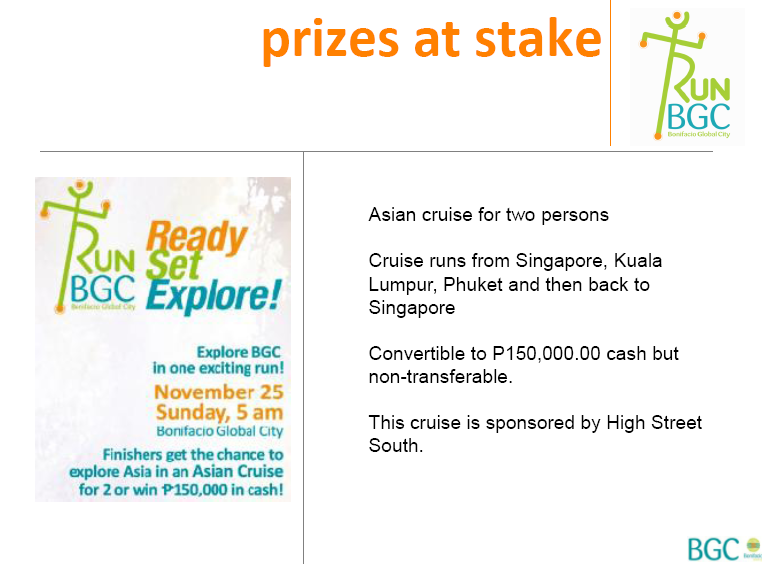 Win exciting valuable prizes from our partner sponsors! 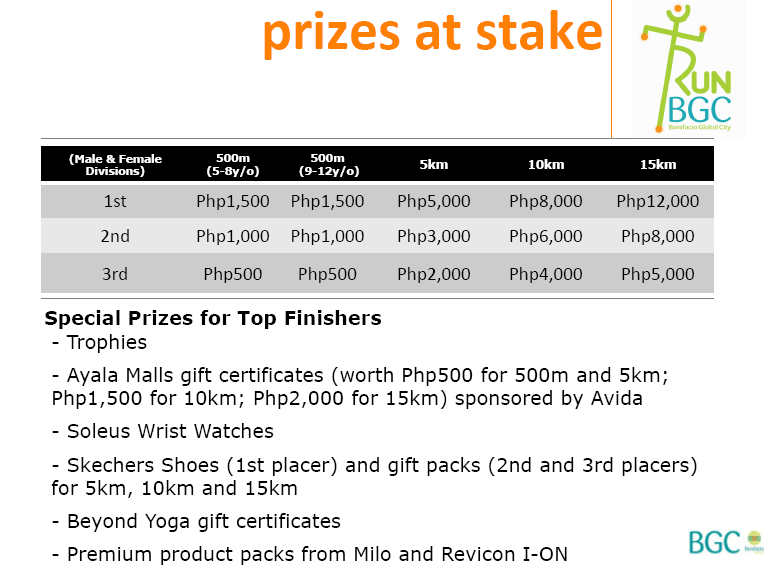 Join the after-run celebration. 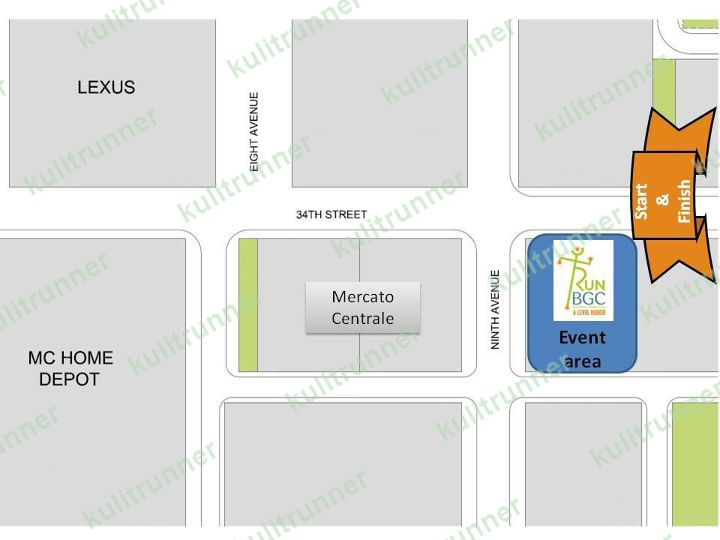 Look forward to meeting great people all sharing common passion for running, fitness, or simply just for exploring diversities and experiencing the joy of discovery. 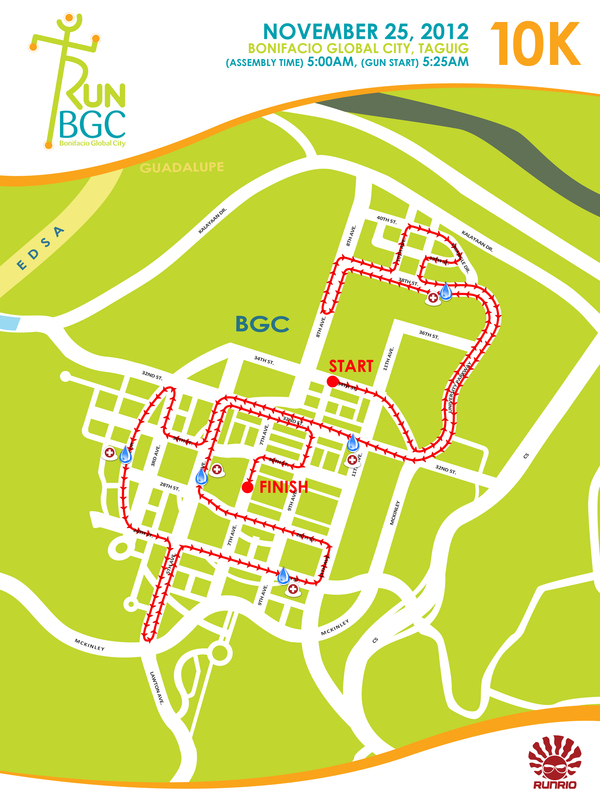 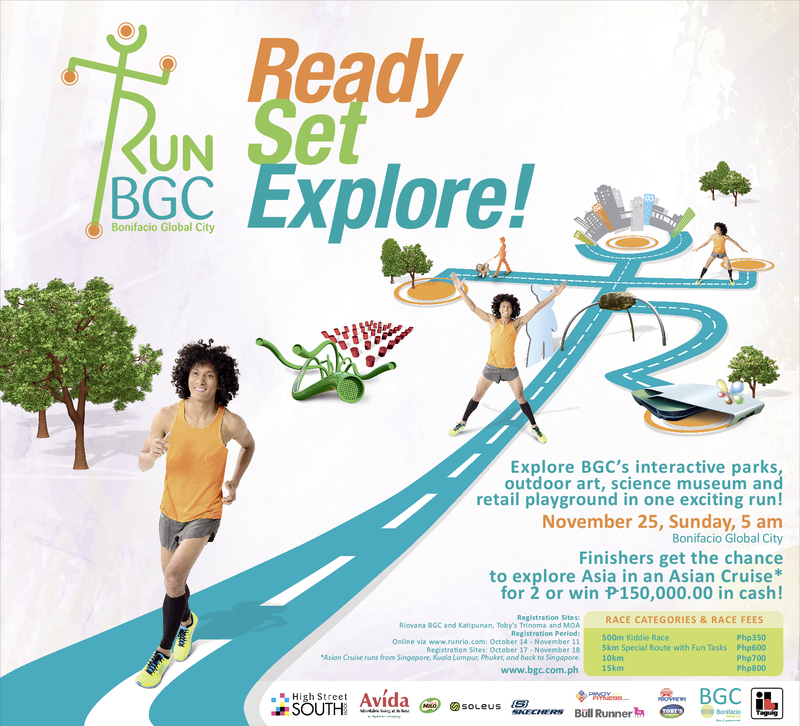 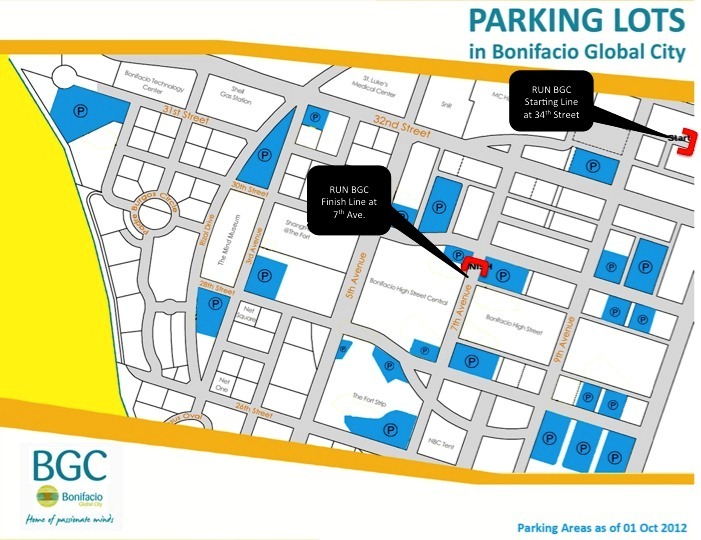 Run BGC is co-presented by Bonifacio High Street, Market Market, and Discovery Channel. 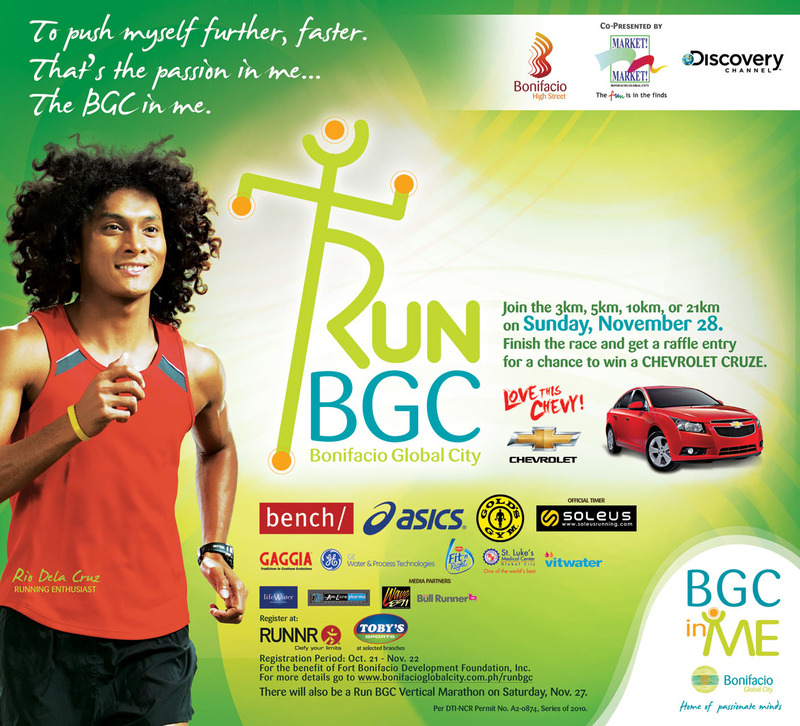 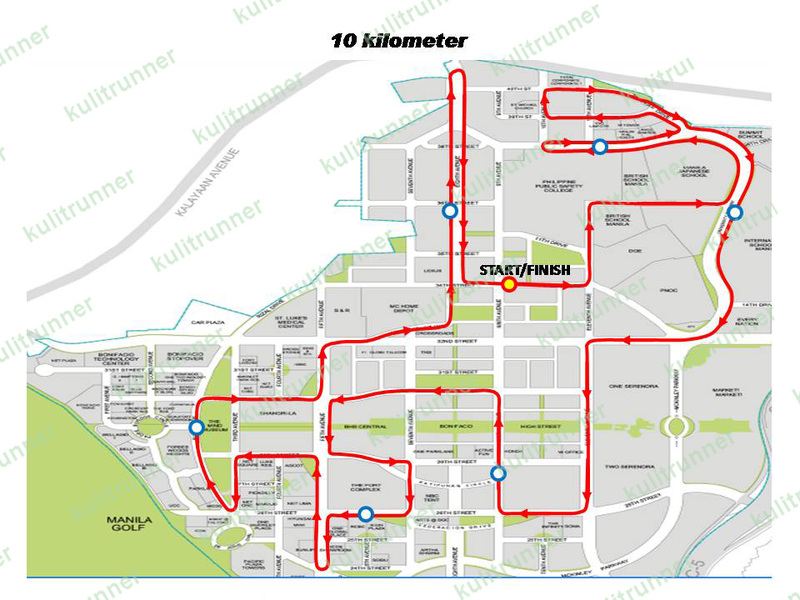 Sponsors include Chevrolet, Bench, Asics, and Soleus, with registration partners RUNNR and Toby’s. 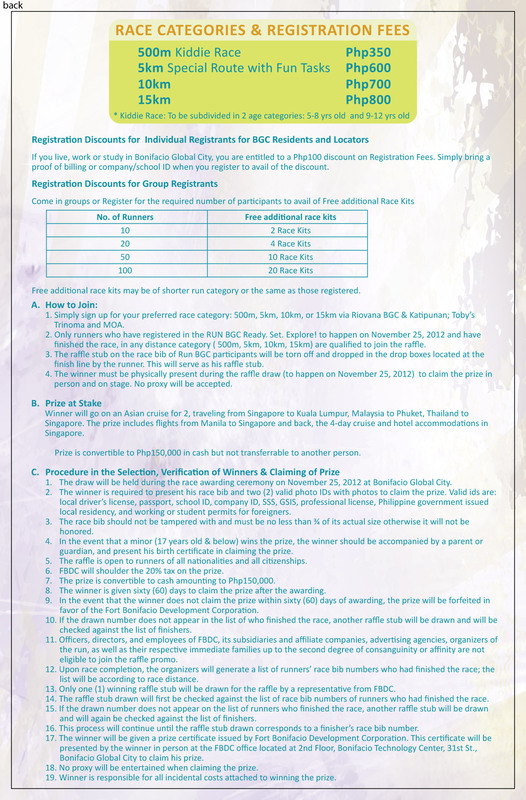 For Inquiries please contact Ms. Joy Mendez at 0917-820 8678 or 211-2712.